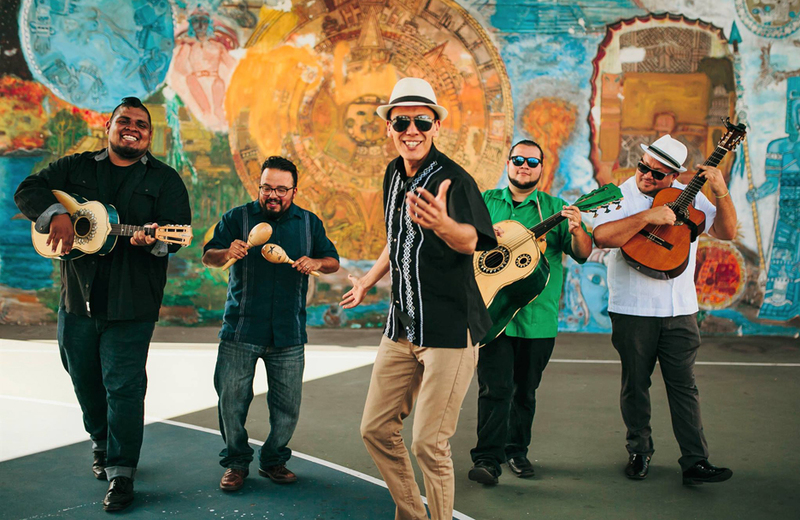 San Diego’s breakout Latin band, Jarabe Mexicano honors the past while embracing the future, incorporating the members’ unique mixture (jarabe) of traditional as well as popular genres. A six-member group ranging in age from 18 to 33, most Jarabe Mexicano members have grown up living, studying and working on both sides of the border – which has provided them an intimate understanding of the trans-border demands and the challenges facing millions who live cross-cultural lives. Expect classic Mexican rancheras and sones, mixed with Caribbean musical traditions such as cumbia and reggae, as well as American rock & roll. The dance floor will be open.